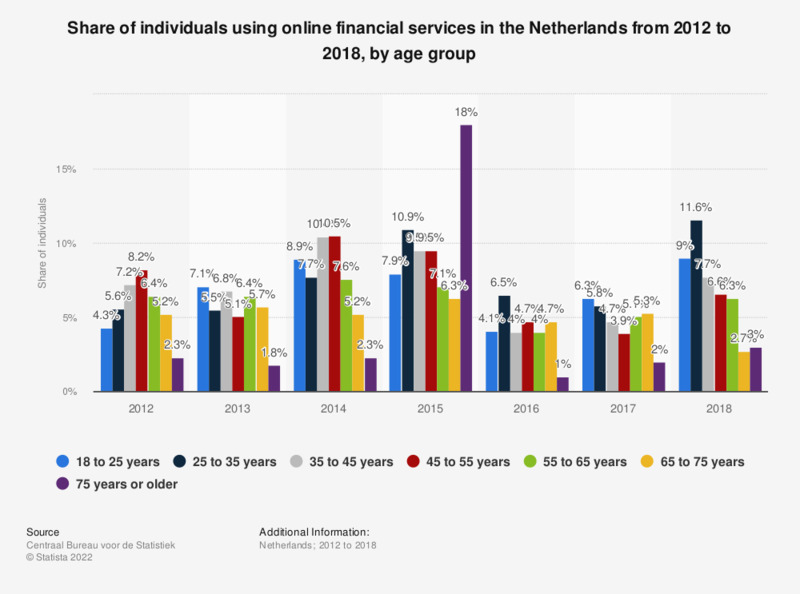 This statistic shows the share of individuals using online financial services in the Netherlands from 2012 to 2018, by age group. The use of financial services was for private use only and excludes internet banking. An example of a financial service is the buying of shares. In 2018, nine per cent of Dutch individuals between 18 and 25 years used online financial services for personal use. This percentage is an increase from the 6.3 percent reached in 2017. The research lists activities performed by respondents in three months before the inquiry.